Quick and easy. That is how I perceive YELLOW BOX RICE COMPANY. 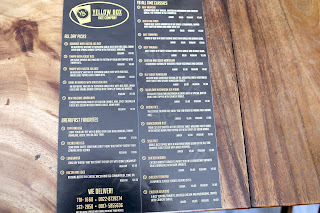 This place serves a delightful array of dishes that is perfect for on the go students, family and friends alike. 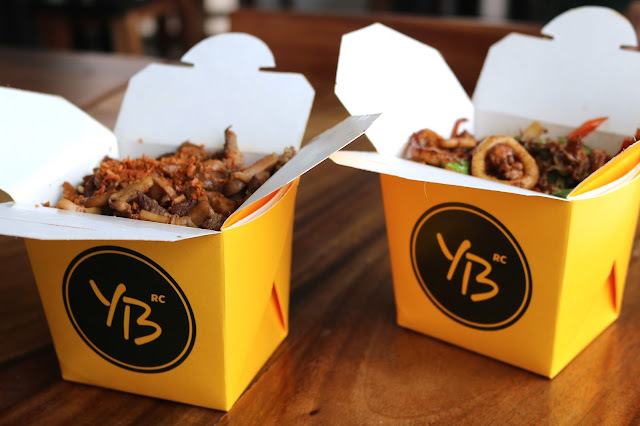 Located on the 2nd floor in LA VISTA PETRON along Katipunan, the YELLOW BOX RICE COMPANY is a quaint place to have your on the go meals. 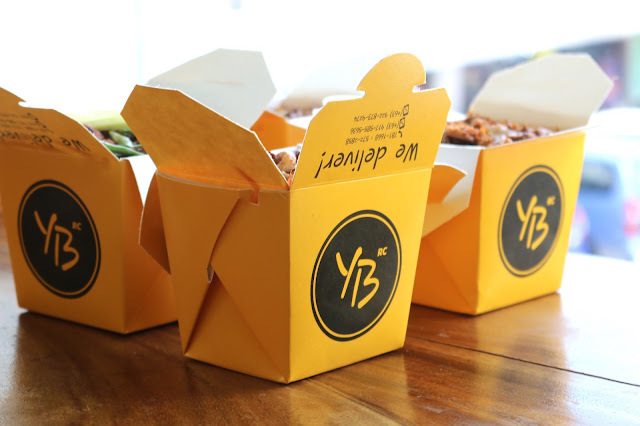 Cooked as you order, the meals are prepared and placed inside a cute YELLOW BOX. You have an option to get a regular or a big box. Believe me when I say that the regular one is definitely big enough. 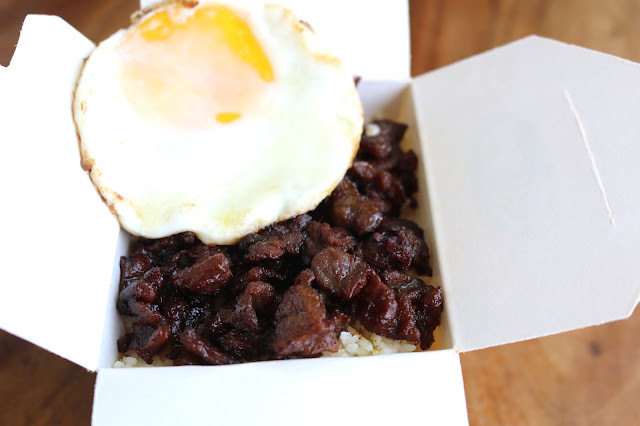 Breakfast lovers would enjoy their TAPA and EGG. Made from a special secret recipe, the TAPA isn't overly sweet. The flavor is just in the middle and goes extremely well with rice and egg. If you are trying to stay away from meat, guests might want to try their DAING NA BANGUS with SALTED RICE EGG and the TINAPA with ALIGUE RICE. 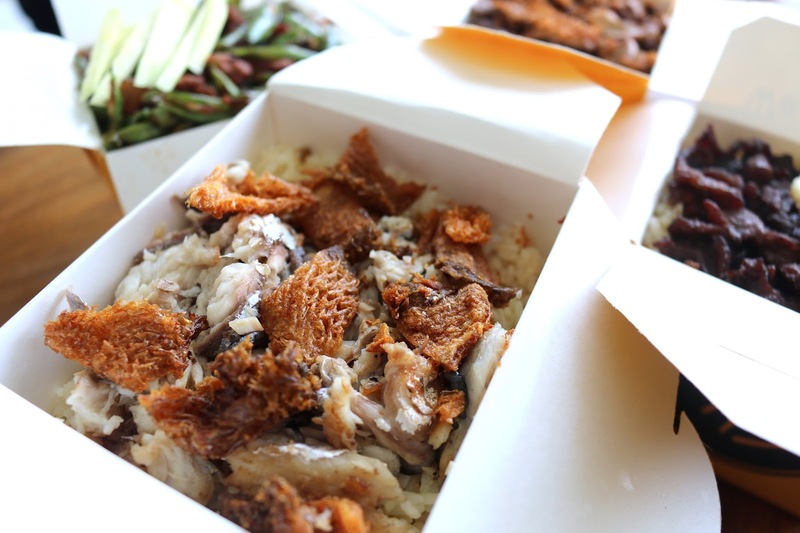 The top is covered with a generous serving of crispy fish skin. You must eat it quickly so as to experience that crunch. 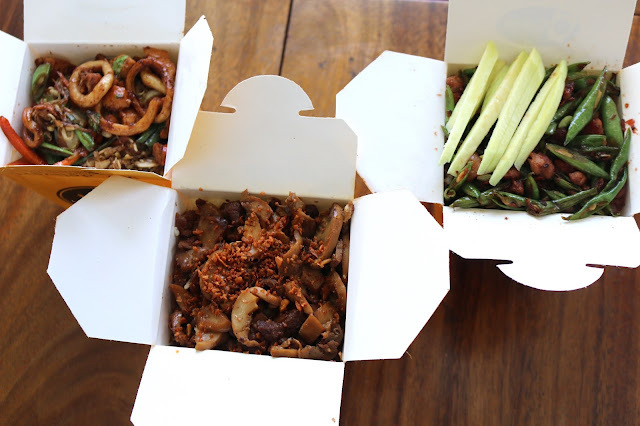 For a bit of veggies, one could go for the BINAGOONGAN RICE and the CHICKEN AND SQUID MONGOLIAN. 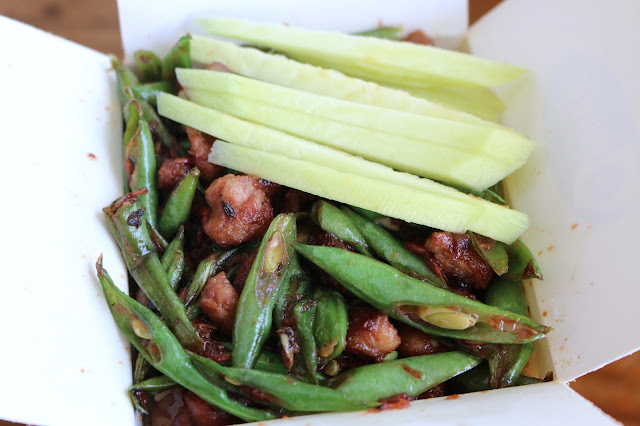 The BINAGOONGAN is served with sweet shrimp paste and a bunch of pork cutlet. 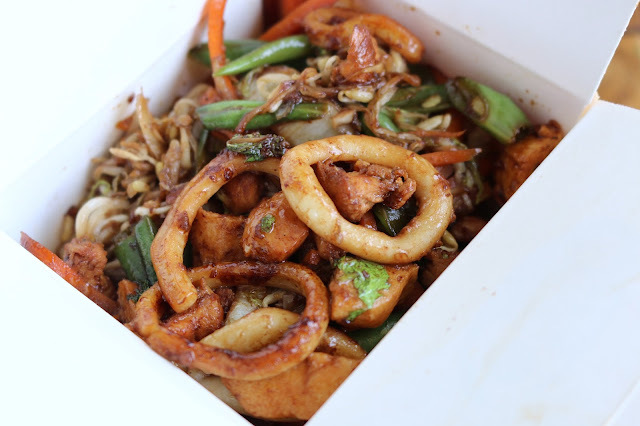 The Squid and Chicken MONGOLIAN has that distinct taste that you would get from the squid. This can also be changed into a all vegetable option. The SALPICAO is just genius. 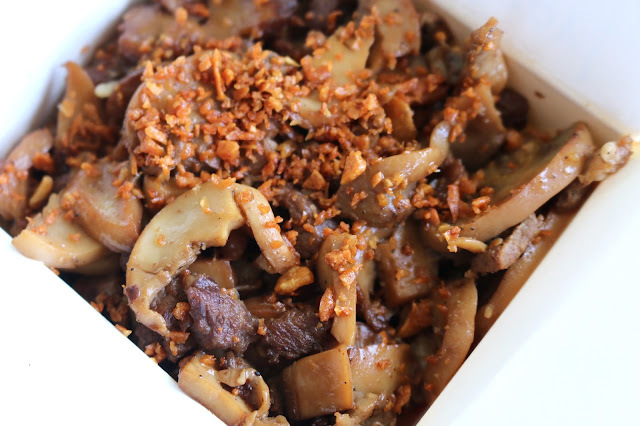 Covered with garlic and mushrooms, the beef is tender and moist. Definitely a joy to eat. Alongside the next dish. 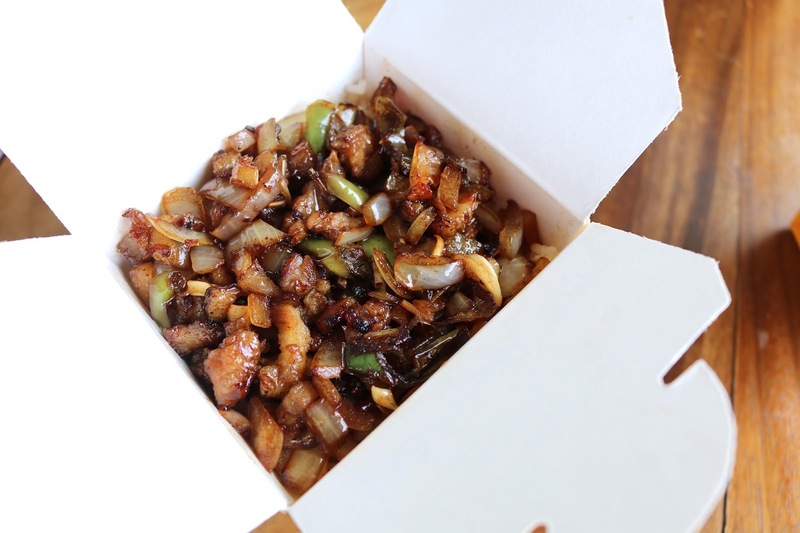 If there was one rice box to order, it would be the SISIG. 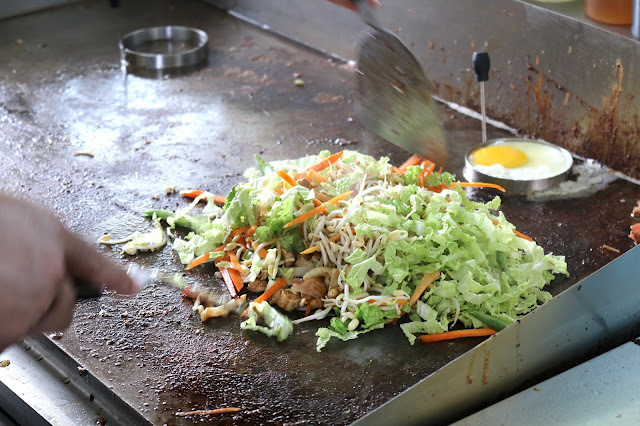 Oily juices are mixed into the flavor. From onions, pepper, meat and a little bit of fat trimmings, definitely a nice mix with rice. This has a little bit of kick into it. 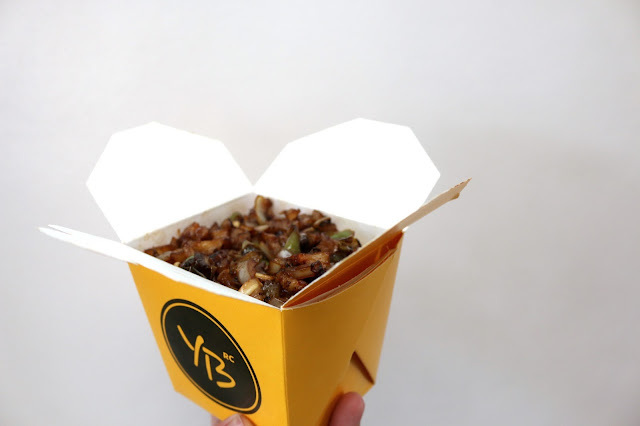 YELLOW BOX RICE COMPANY is the perfect place to visit for something simple and straight to the point. 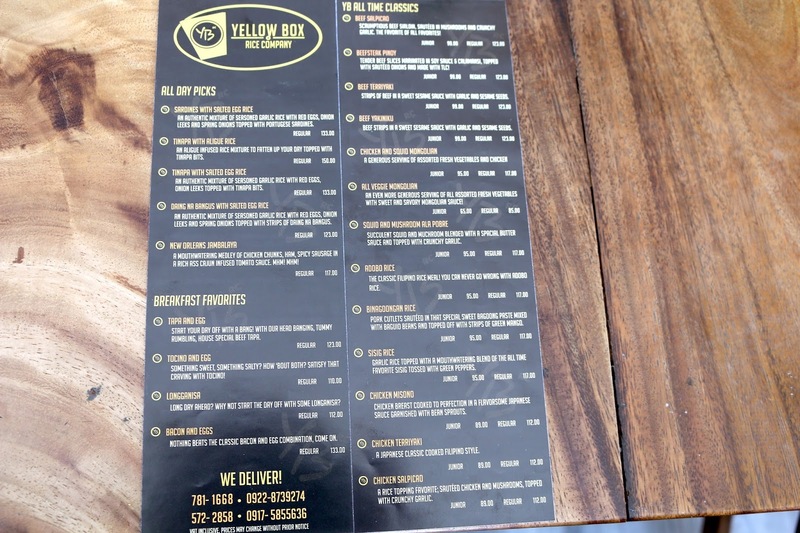 Here, you could get your meal in a few minutes and have a taste of your favorites in a box. 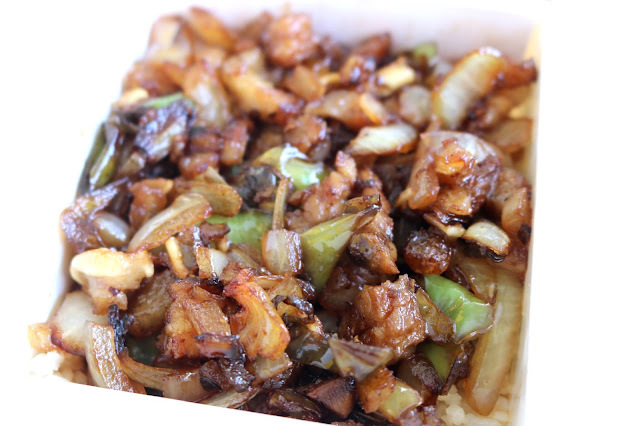 PRO TIP: Get a regular sized sisig and salpicao. Mix them both together and it will bring you to heaven.